How much do property taxes cost for Franklin County NC new homes? Whether you're considering relocating from the other side of the country or the other side of the Triangle, you've probably wondered what the yearly property taxes might be for your new home. 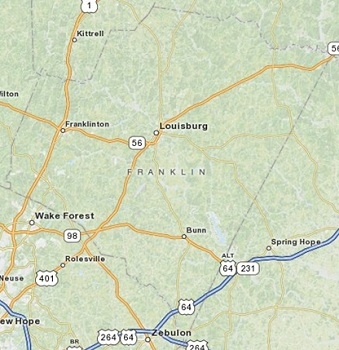 Where is Franklin County located? Franklin County sits just northeast of Wake County. Franklin County is home to Bunn, Franklinton, Louisburg, Youngsville, and parts of Wake Forest. When were Franklin County NC property values last adjusted (assessed)? Franklin County revalues all real estate at least every eight years, per NC requirements. This procedure allows the Tax Department to adjust the appraised value of real estate to reflect the property's true value in light of changing real estate market conditions. 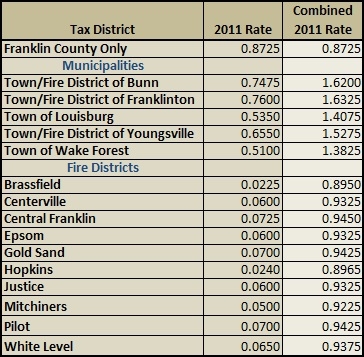 The chart below shows the 2011 Franklin County property tax rates. If you are relocating to a home inside a town or fire district, the tax rate will generally be higher. If your new home will be outside of town boundaries, the tax rate can be low. The county rate gets combined with either the fire district rate or the town rate, depending on where the home for sale is located. The Franklin County property tax chart is not as confusing as it looks. The tax rates are always based on the assessed value of the home, not the asking price, so you'll want to look up the assessed value, or ask your agent for it. How do I use this table? 1. Take the assessed value of the property. 3. Multiply by the combined 2011 tax rate. 4. This will give you the yearly tax amount, per 2011 fiscal year rates. For example, Wake Forest has a town rate of 0.51, and the Franklin County rate is 0.8725. Add the two together - the total tax rate for Wake Forest, NC is 1.3825. To get up-to-date Franklin County tax information, visit the Franklin County Tax Records site. 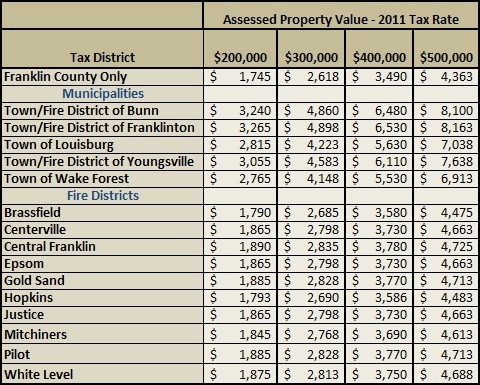 This table gives sample property tax bills for all the towns in Franklin County: Wake Forest, Bunn, Franklinton, Louisburg, and Youngsville. Where Should I Live to Get the Lowest Property Tax Rate? Your tax bill can be lower if your home or property is not actually within a municipality, or town. If this is the case, you'll pay just the County rate, plus most likely a fire district tax. What County Will My New Home Be In? When looking at properties, don't take the city address for granted - you could be in a different county, with different tax rates, depending on where exactly the property is located. 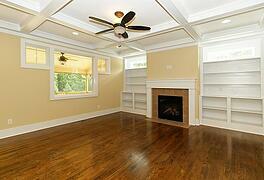 For example, a Wake Forest home may lie in either Wake County or Franklin County. If there's a particular home that you're considering, you can go directly to the Franklin County Tax Records site, type in the address, and see the assessed value of the property. The reassessments have just been completed, though, and Franklin County is not noted for 100% accuracy in assessing the values of property, so what you see may be either higher or lower than the asking value of the property. If there is a discrepancy, don't be afraid to ask your real estate agent to pull comps for you! Want to Compare Property Taxe Rates? How Much Will it Cost to include a Front Porch in my Raleigh New Home? Before choosing a floor plan with extensive porch space, take into consideration the amount of space around your new home, which can determine how large the porch can be. Will trees be in the way and need to be removed? Is there enough space to accommodate the extra width of a large porch without encroaching required setbacks? Front proch style features can also determine several cost factors (such as types of building materials required). Do you want the porch to have rounded corners or traditional 90 degree angles? Do you want running trim or molding? How Much Does it Cost to Build a Front Porch in Raleigh? 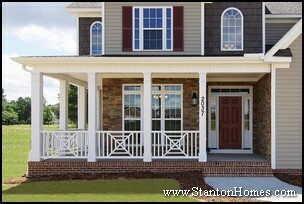 Depending on the style and features, a wrap around front porch can add $5-15K or more to the cost of your new home. Click here for photo galleries of screen and rear porches. 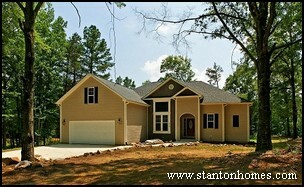 Click here for photo galleries of custom home exterior styles. New Home Trends - Are Fireplaces Disappearing? Wondering if fireplaces are going the way of the formal dining room? The number of new homes that include fireplaces is decreasing. According to the Census Bureau, the number of new homes built without a fireplace reached 49% in 2009, the highest percentage since 1975. According to data from the Census Bureau, the number of new homes built without a fireplace in 2009 hit 49%, following a steady trend over the past 15 years. The year 1990 saw the most new homes with fireplaces since the Census Bureau started tracking in 1973 - only 34% of new homes built in 1990 did not include a fireplace. Since then, the number of homes with fireplaces has been on the decline. The years 1980-1983 saw another increase in the number of homes without fireplaces, after which the number homes with fireplaces steadily grew until to their peak in 1990. What could be causing the decline in the number of fireplaces? Will your new home include a fireplace? As an NC custom home builder, we'll work with you to make the decision that's right for you, and can design a home that includes the features that will make your lifestyle exceptional. 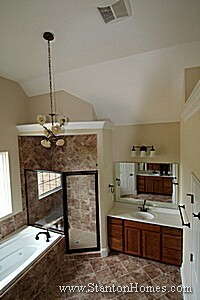 One of the questions this NC custom homebuilder hears often is "I have a septic rated for a 3 bedroom home. How do I build a 4 bedroom home on my lot?" Septic systems are very, very common in the Raleigh area. 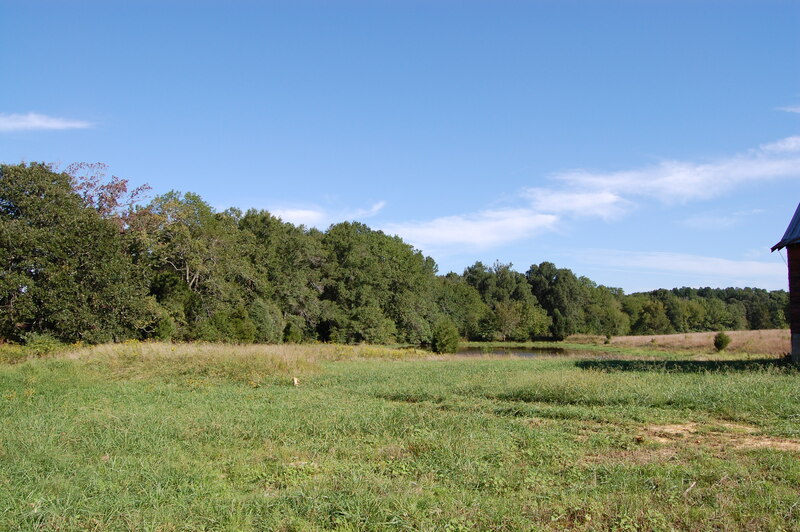 Most lots larger than .5 acres will require a septic system. But knowing the right questions to ask, up front, will keep you comfortable. When buying a lot in the Raleigh area, there are two important septic system questions that need to be answered. First - does the lot perk? If the answer is yes, great! If not, ask your builder to go over the options with you, during our free lot inspection. Second, how many bedrooms is the lot rated for? 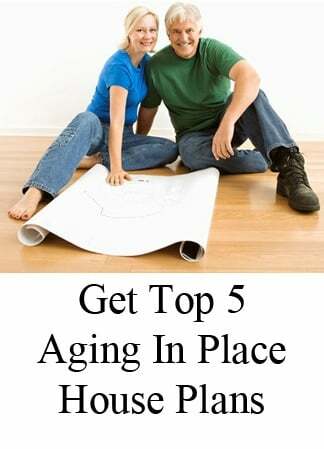 You'll want to make sure the rating supports the number of bedrooms you want to build. But what if you've already purchased a lot that is rated for a 3 bedroom septic system? If you're looking to build a four bedroom home but have purchased or are considering a three bedroom septic lot, there are several options. What do you plan to use the fourth bedroom for? Probably the least expensive option is to rethink some of the interior space of the home. 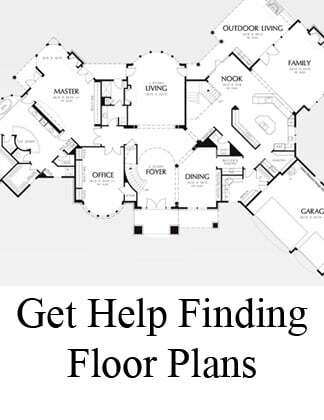 If you're planning to use that fourth bedroom specifically for an office, a few small changes could allow your custom home plan to be approved by the county. In general, a room is called a bedroom if it has egress window (a window you could open and escape out of in case of emergency), a closet, and a door. Another factor is access to a bath - a bedroom may also have direct access or be close to a bathroom. 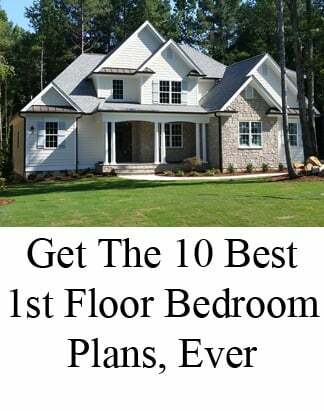 But if your builder converts the bedroom to an office by removing the closet and expanding the doorway to either a wide opening without a door or possibly even a pair of French doors, this could allow you to gain approval to build the floor plan. 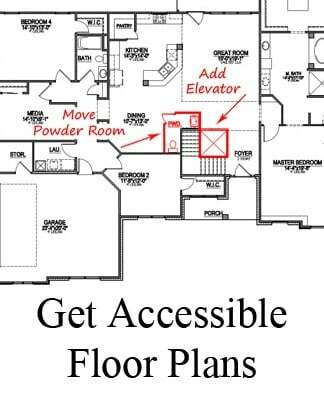 If the fourth bedroom is upstairs, your builder may be able to convert it to an open bonus room or loft. 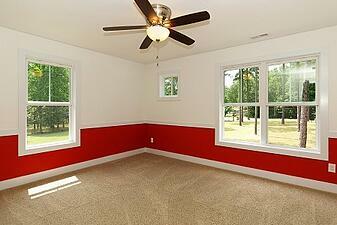 You'll still have all the same square footage and usable space, but the room will be much more open. If a floor plan change won't work for you, consider a panel block septic system instead of a standard septic system. This system can expand the capabilities of a standard system to support at least one extra bedroom. But it can also add 25% to 75% to the cost of installing a septic system, depending on how close the original plan came to supporting that fourth bedroom. A panel block septic system does need to be approved by the county, and a lot of factors can come into play, such as soil type and requirements that vary by county. Every lot is unique. To best determine your options, have a trusted NC custom homebuilder review your lot and your septic system permit. They might just have some great ideas for you.